Hi all. It has certainly been a slow writing year for me here at the blog, though I try to maintain activity on Twitter as much as I can! With this last post of the year, I wanted to celebrate all the great times I had with notable games that so many dedicated development teams worked on during the past 12 months. Let’s get right to it. Here are my Top 10 Games of 2018, in descending order. Plus, some bonus mentions at the bottom. Each is listed alongside developer, publisher, platforms and sales. Which of these did you check out? Did any of these make your list? I certainly hope so! Platforms: Mobile. Android & iOS. Sales: Was tracking well early according to lead designer Ken Wong. Over 10K downloads on Android, 5K ratings on iOS. 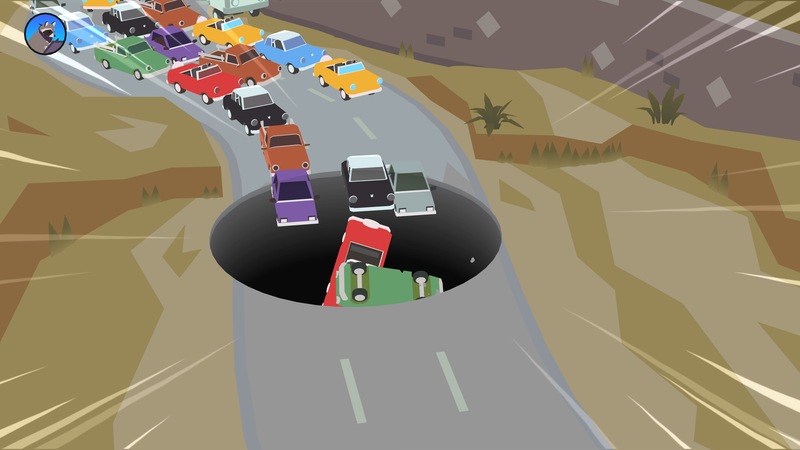 Mountains’ Florence is nowhere near a typical mobile game. More of an interactive visual novel. Though it’s the type of game that wouldn’t work nearly as well on a platform *other than* mobile. It uses its platform masterfully to tell the tale of a couple in their 20s, from random encounter to honeymoon period to an inevitable rough patch. Its main mechanic is using the touch screen to literally piece things together (or attempt to do so) as an emotional narrative plays out. One that comes to an unconventional conclusion, and leaves a lasting impression as a result. Sales: At least 500K units, according to the game’s creator Matt Thorson. Hugely successful for a smaller-sized indie team! 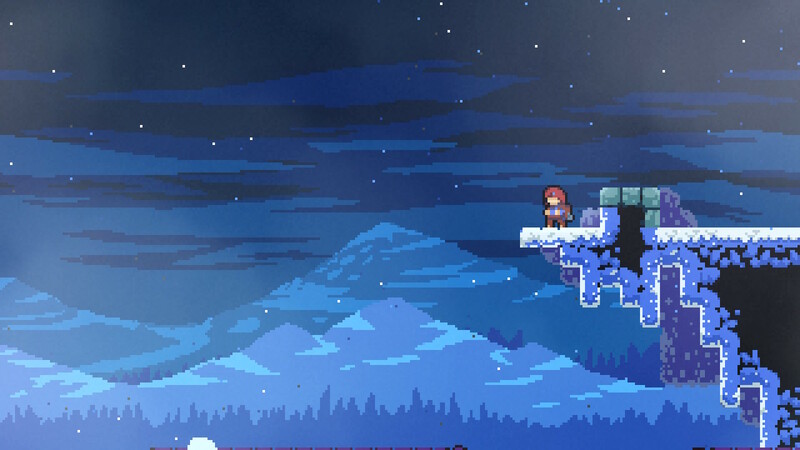 Celeste is a 2D platformer about struggle, mental health and attempting to overcome your internal criticisms to achieve an aspiration. 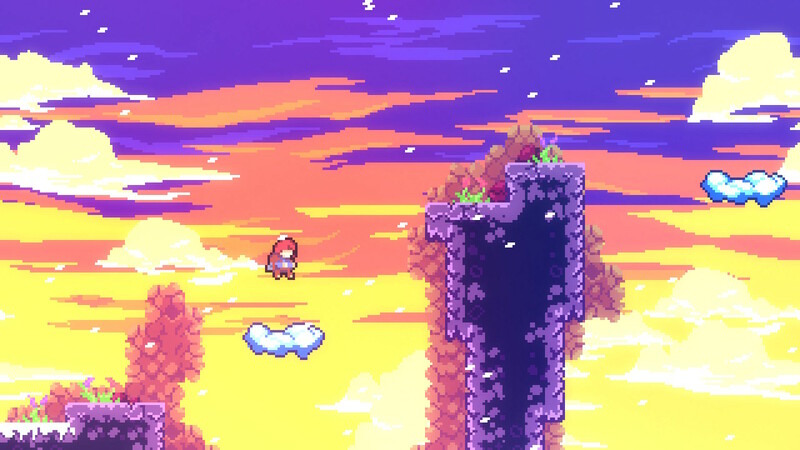 As main character Madeline climbs Celeste mountain, the challenging gameplay combines with a suite of characters and a killer soundtrack to reveal it’s ultimately an allegory for setting a goal then dealing with obstacles on the way to fulfilling it. It’s a fine video game, frustrations and all. Sales: 3.3 million units its first 3 days, an all-time record for a PS4 exclusive. Currently stands as the 6th best-selling game of 2018 in the States. 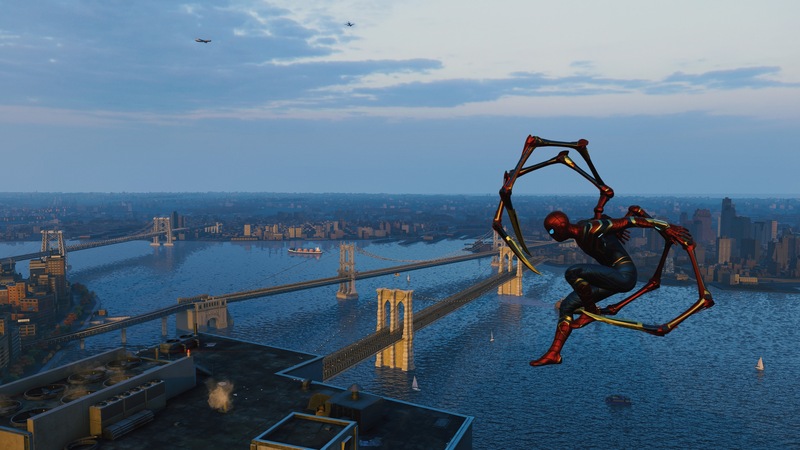 For a medium that seems a perfect fit for superheros, not many recent games capture the essence of being one quite like Marvel’s Spider-Man. 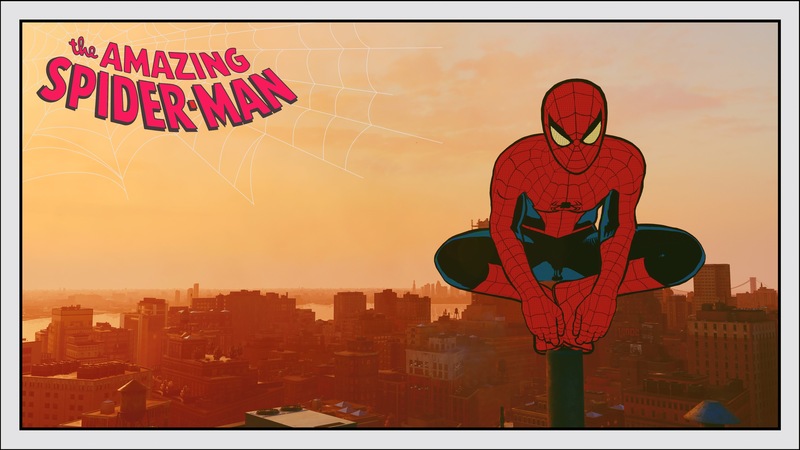 Insomniac stuck what I think is most important for the fantasy of being Spidey: effortless, stylish swinging through Manhattan then kicking the crap out of bad guys. While the game has snoozer side activities, annoying stealth sequences and uneven pacing, its gameplay, stellar 3rd act and surprisingly intimate character moments sling it above many 2018 games. Sales: At least 100K units in around 2 months, per SteamSpy. If you said a game made predominantly by one person that’s only available on PC/Mac where you play as an insurance adjuster would make my list, I would’ve looked at you like you were a kraken. But just last week, I finally played the game every critic I respect couldn’t stop talking about since its October ship date. 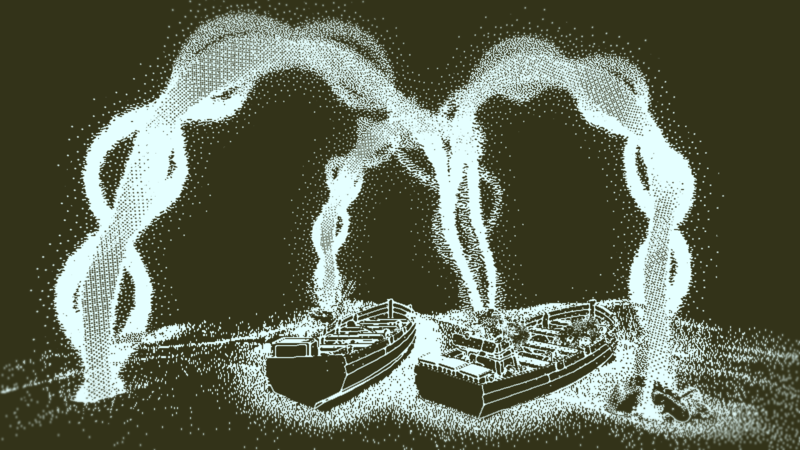 It’s a sort of murder-mystery that tells the story of a doomed East India Company sea vessel called the Obra Dinn, via minimalist art and moment-in-time vignettes. 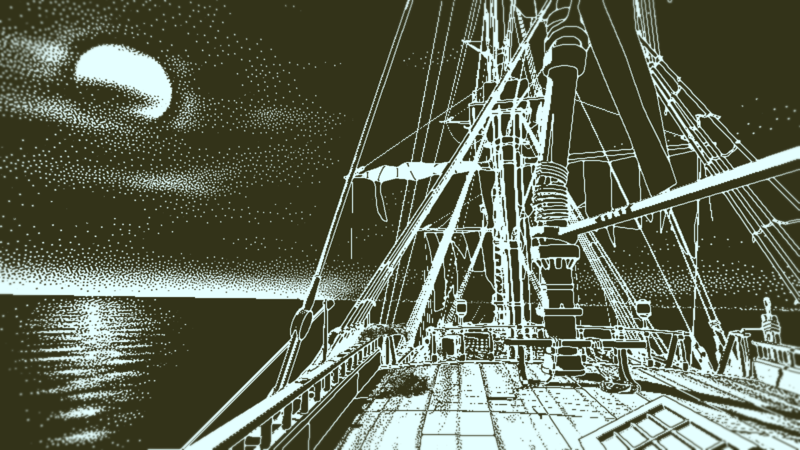 Gameplay consists of navigating these snapshot memories using a magical watch, deducing what happened to crew members and passengers during the ill-fated journey. The sheer triumph of figuring out each fate becomes infectious, all the way through its conclusion and final reveal. Platforms: Xbox One. PlayStation 4. Windows. Sales: A whopping 10.7 million units. The best-selling single retail release in Capcom’s storied history, not counting re-releases. 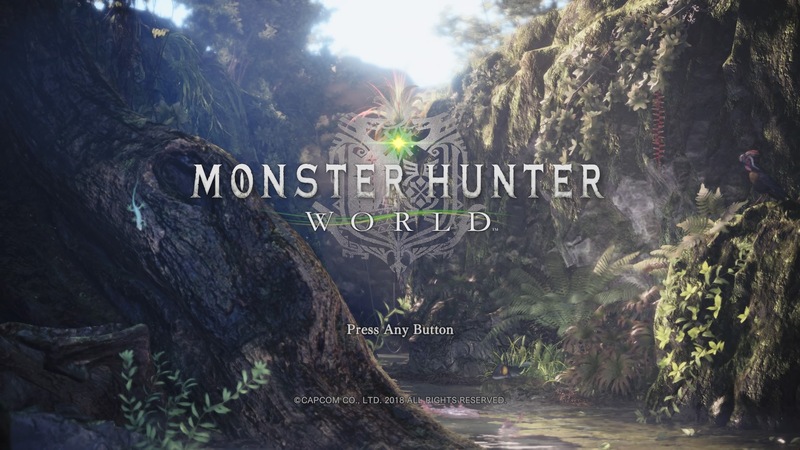 This was the earliest major release of 2018, and the first time Capcom’s popular Monster Hunter franchise hit major consoles after being very popular on handhelds in Japan. 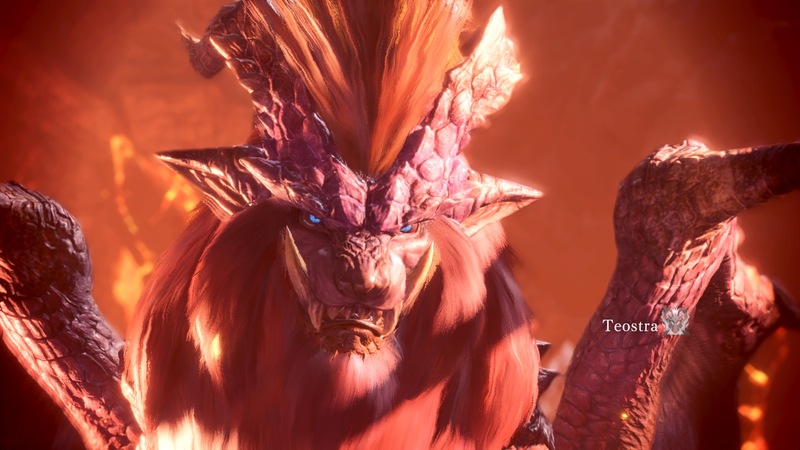 A global audience latched onto the quirky, humorous fun of an action role-playing game where you hunt gargantuan wild creatures in a variety of detailed locales. Not only is the combat super satisfying, all of its systems blend to keep players engaged: studying animals, gathering supplies, crafting weapons, purchasing items, upgrading gear and taking on quests. Plus, it has cooperative multiplayer. And you hunt alongside a cat friend. It’s a “Palico.” That calls you Meow-ster. Purr-fect! Platforms: Xbox One. PlayStation 4. Nintendo Switch. Windows. I couldn’t write this list without including at least something pinball related. 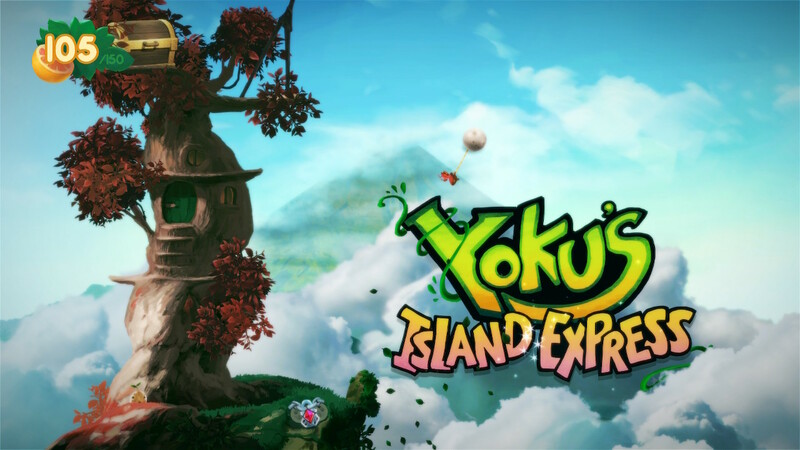 And Yoku’s Island Express isn’t just related, it’s pinball in video game form with a genius twist. Villa Gorilla ingeniously built a 2D world that integrates traditional pinball features like flippers and bumpers that allow for traversal across its environments. 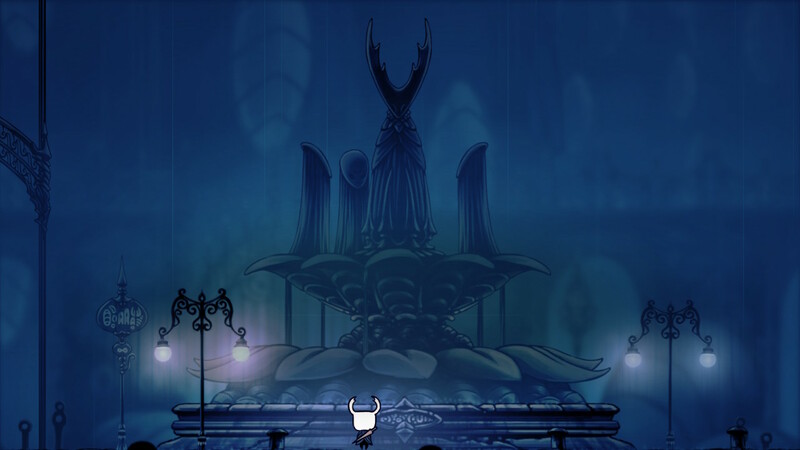 The player works toward unlocking areas, discovering secrets, finding collectibles and even fighting bosses using pinball as a means to achieve these goals. The controllable character is Yoku, a cute beetle-turned-postman, who delivers items across a cheerful world that’s unfortunately plagued by a dark curse. It’s the smartest synthesis of pinball and video game that I can remember, plus it features a joyful soundtrack and amusing dialogue. I had a ball! Platforms: Xbox One, PlayStation 4, Nintendo Switch (Streaming in Japan Only), Windows. Sales: Unit sales aren’t explicitly available, as often happens with major publishers. Ubisoft shared that 1st week sales set a record for the franchise on current generation. Currently the 10th best-selling game of 2018 in the States. It may feel like the Assassin’s Creed franchise has been around for ages, before Assassins and Templars started beefing. Odyssey is nearly its dozenth mainline title, seeing the player take the role of Alexios or Kassandra, a pair of Spartan twins embroiled in political, societal and even mythical battles as mercenaries in ancient Greece. I don’t say it lightly that it’s one of the best entries in the series. (Yes, even after I said the same about Origins last year.) 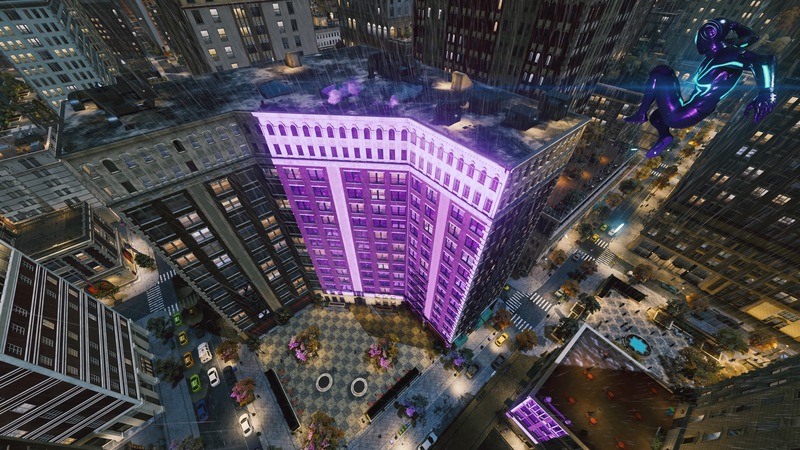 Some argue it’s shifting further from the series’ tradition, with its enhanced role-playing elements, loot system, dialogue trees, romance options and skill trees. I argue that this is progression. Ubisoft is continually expanding on the stealth-action base of its past. Other than a lackluster conclusion for one of the major plot lines, I have very little to complain about for this sharpest of entries. You aren’t suffering from seeing things, like you would if you were experiencing The Tetris Effect. There is a new Tetris game in my top three. We all know Tetris is one of the best games ever. 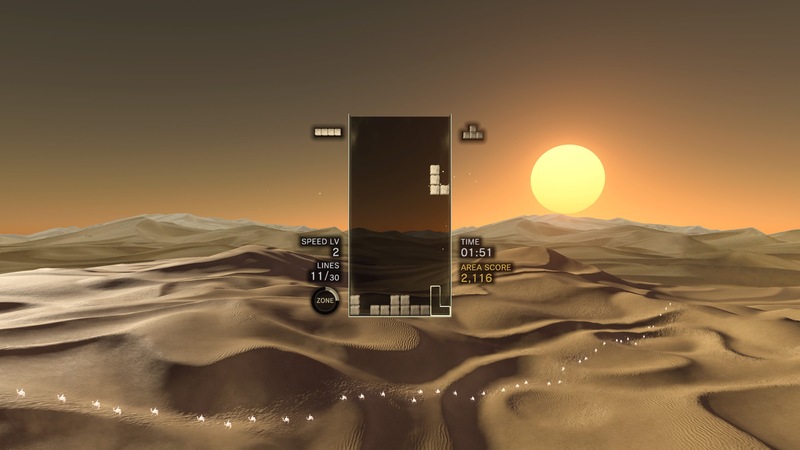 I believe that Tetris Effect, produced by Mark MacDonald alongside visionary Japanese designer Tetsuya Mizuguchi, is the singular best Tetris game ever since the original. Its presentation is flawless. 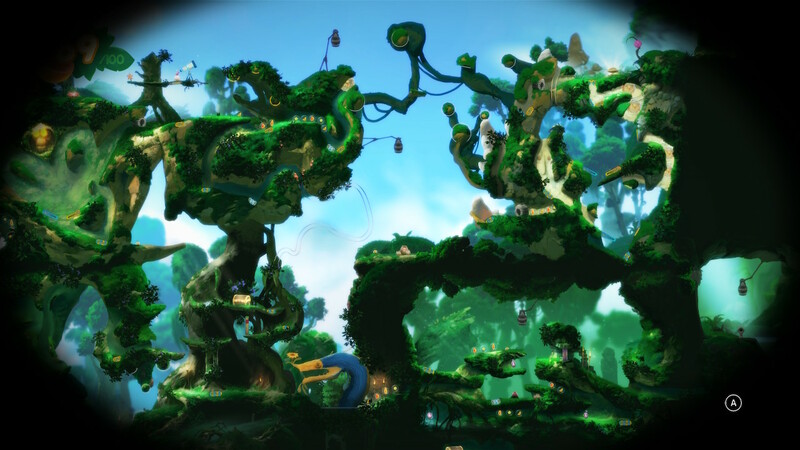 Expertly-crafted backgrounds alone would be an experience in sensory bliss. Then, its sound design is legendary. Blips of auditory delights trigger with every tetromino spin, placement and drop, accentuating its uplifting, modern new age soundtrack. It’s not without innovations, either. Players can trigger Zone, a slow motion mechanic that provides for crazy combos. 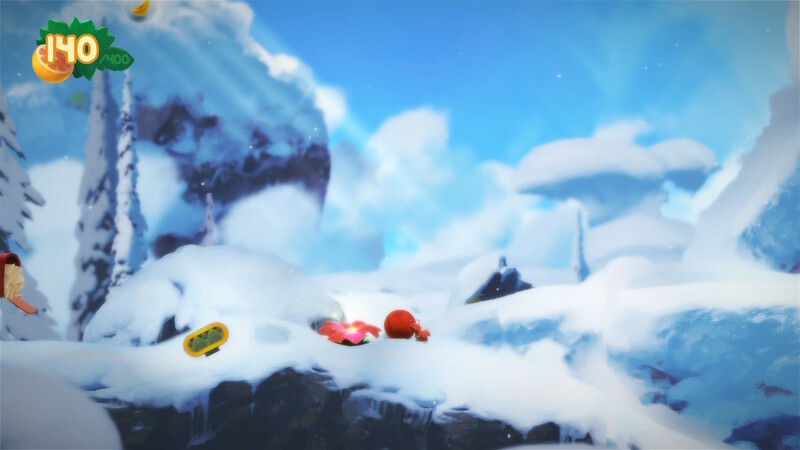 There’s Journey, a curated experience through many of its levels. 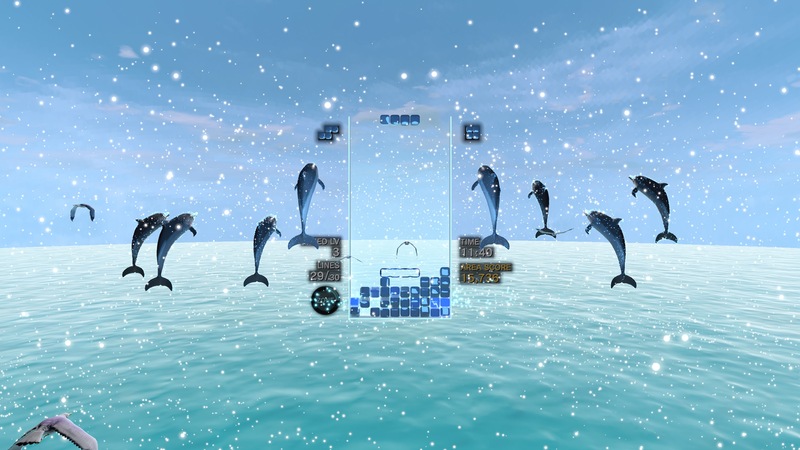 Its Effect mode allows players to level up and compete on leader boards. 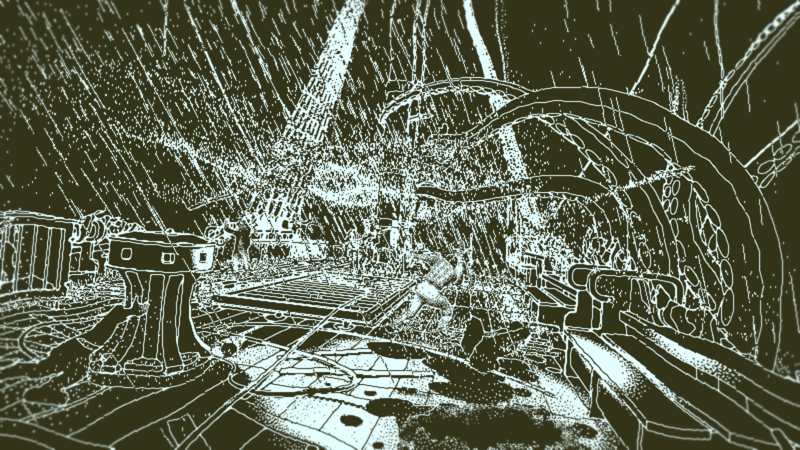 Not to mention, it’s fully playable in virtual reality. 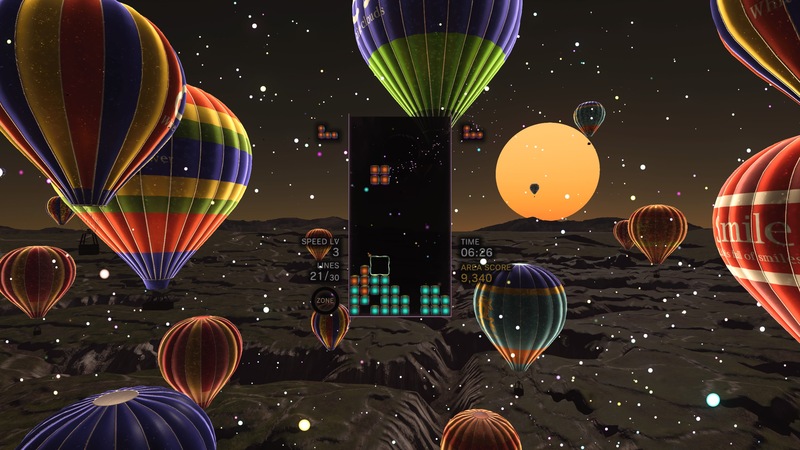 Moments of synesthesia aplenty, Tetris Effect is borderline transcendental. Sales: 3.1 million units at launch, a record for a PS4 exclusive game until Marvel’s Spider-Man released. Currently at least 5 million copies. 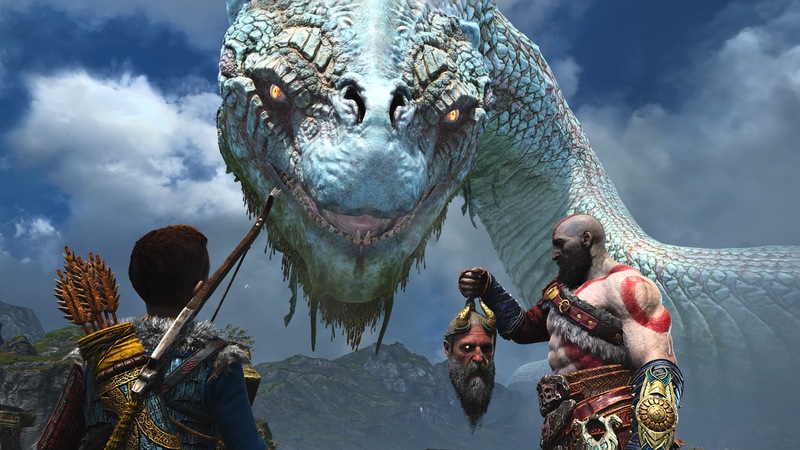 It’s very telling that Sony’s God of War is this high on my list, as I have little nostalgia for the over-the-top action franchise. Its main character, the rage-filled god Kratos, carries over from the earlier trilogy. Though it’s effectively a brand new game set within a gorgeous world crafted this time around Norse mythology rather than Greek. 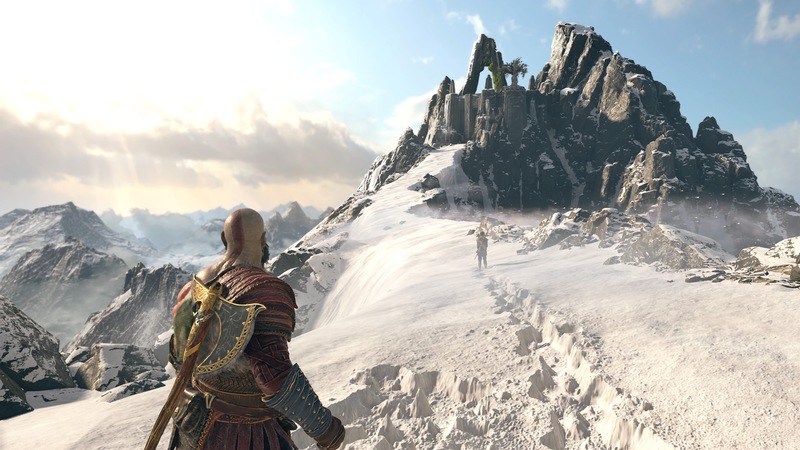 It’s a technical marvel, with game director Cory Barlog and team achieving a single camera cut for the entire duration. Positively stunning visuals, though uneven performance at times. Combat with the new Leviathan Axe is wholly satisfying, especially throwing it at a group of enemies and recalling it. Admittedly, the base combat can be repetitive but each skill unlock reveals the true depth of its systems. With this said, the game truly shines in its story, character moments and monumental boss sequences. It’s hard to think I’m actually describing a God of War game in this way, but it’s all true and that’s why it’s this high on my list. 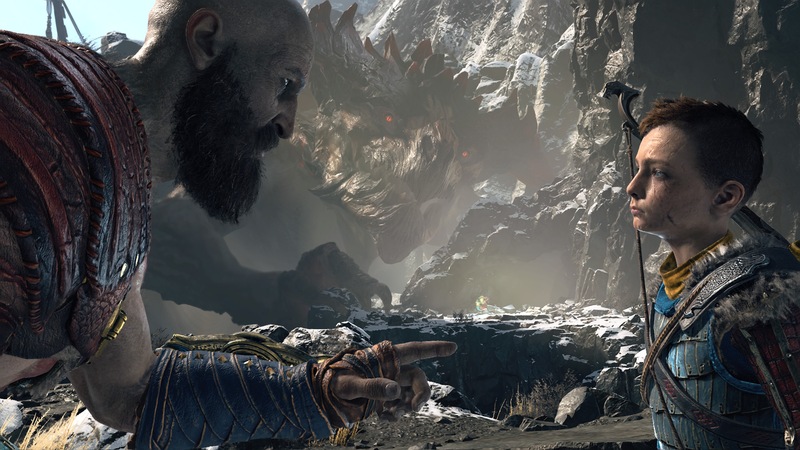 The plot revolves around an older Kratos attempting to fulfill his wife’s dying wish of spreading her ashes, now accompanied by his half divine son and combat partner Atreus (whom the player can direct during combat and puzzle sequences). Certain Norse figures show up, including Baldur, Freya and the prolific, hilarious storyteller Mimir. 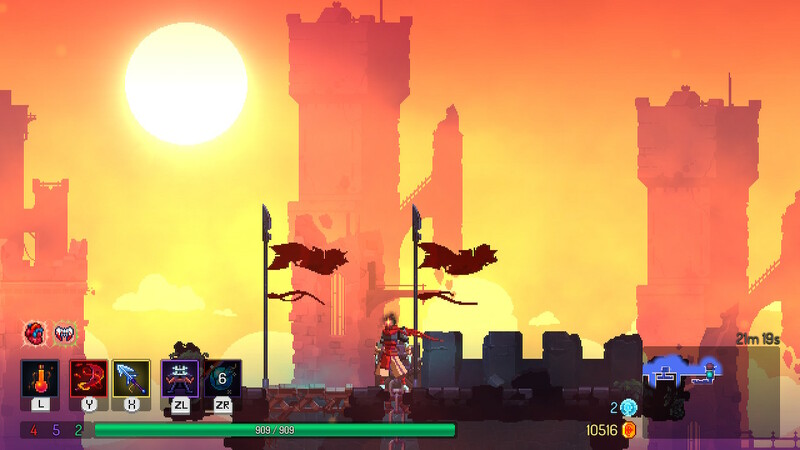 The father-son dynamic drives this epic quest along, which ends in an unexpected place and surprisingly captivated me with its narrative elements above all else. Platforms: Xbox One, PlayStation 4. Sales: $725 million in dollar sales during its first weekend. 17 million units in its initial two weeks. The second best-selling game of 2018 in the States. Not too shabby, partner. 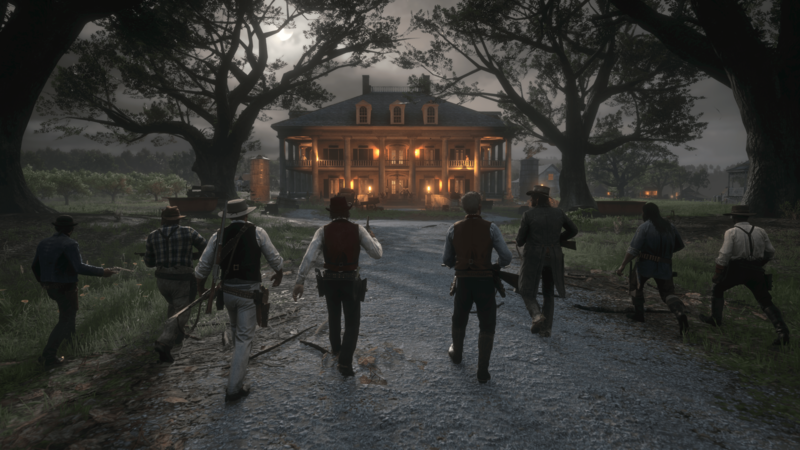 This year, Grand Theft Auto developer Rockstar Games returned to the Western setting with the spectacular Red Dead Redemption 2. As a prequel to 2010’s Red Dead Redemption, one of my favorite games of last generation, I was both extremely excited and cautiously optimistic when it was announced. I’m happy to report it vastly exceeded any expectations I had, however lofty. This open world action game’s primary storyline delves into the gang formed by eloquent criminal Dutch Van der Linde, with the player controlling the crew’s second-in-command named Arthur Morgan. He’s a flawed man, loyal to a fault yet still shows the capacity for good deeds and compassion. The game allows you to interact with every character in the world, and ultimately decide what “your Arthur” becomes via a morality scale. The voice acting and motion capture across the board here, for all characters though especially gang members, is extraordinary. 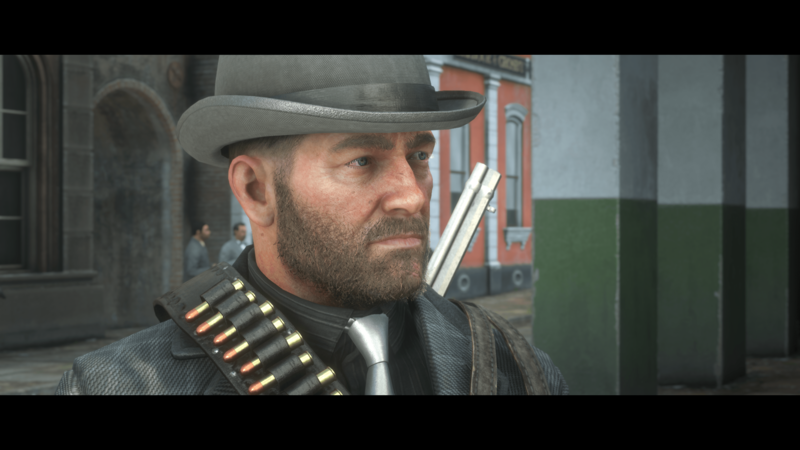 Additionally, we see appearances from a variety of familiar faces from the original game: namely John Marston, Javier Escuella and Bill Williamson. Each of them alongside a myriad of new characters makes it feel more like a bustling settlement than many others I’ve seen within the genre. I can’t understate how visually beautiful and detail complete RDR2 is. Every biome across its world, from snowy mountains to desolate plains to swampy bogs, is populated with fauna, animals, random characters and places to explore. 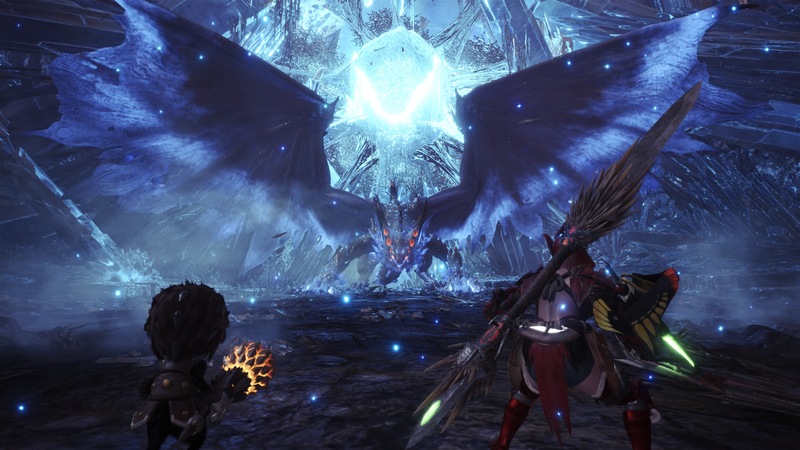 Many games boast what’s called “emergent storytelling,” as in moments that a player will experience individually, separate of the curated quests or story beats. Few deliver on this promise as much as Rockstar does here. It rewards you for going out on your own, talking to people, finding strangers and helping them with their requests. Hunting, fishing, playing cards and more activities open up and each is masterfully executed. Some of them could be games on their own. In fact, these emergent moments are just as memorable if not more so than the game’s missions for me. Speaking of missions, its overarching narrative is a standout especially in terms of the manner in which it’s conveyed. It’s obvious Rockstar is telling a certain story here, with cutscenes and cinematics interwoven to rival modern films. Sure, its mission design isn’t necessarily innovative. And it doesn’t allow for much player choice during said missions. But that’s by design! There’s freedom in every other aspect that more than makes up for this curation. Missions are usually tense and engaging, especially “major” events like heists or gang endeavors. Arthur and his fellow crew members are constantly on the run from the law or engaging with rivals, not to mention their Western dream of freedom is slowly dying to the progression ushered in by industrialism. There’s plenty of weight to the campaign, especially in later chapters as relationships clash or unravel, and Rockstar weaves moments of fan service with surprising twists to tie the game and its predecessor together. I’m not saying it’s a perfect game, or even a game for everyone. Some of its menu and UI design is dated. It’s deliberate. Its “feel” can be sluggish until you get the hang of it. You don’t speed through its open world, you mosey. 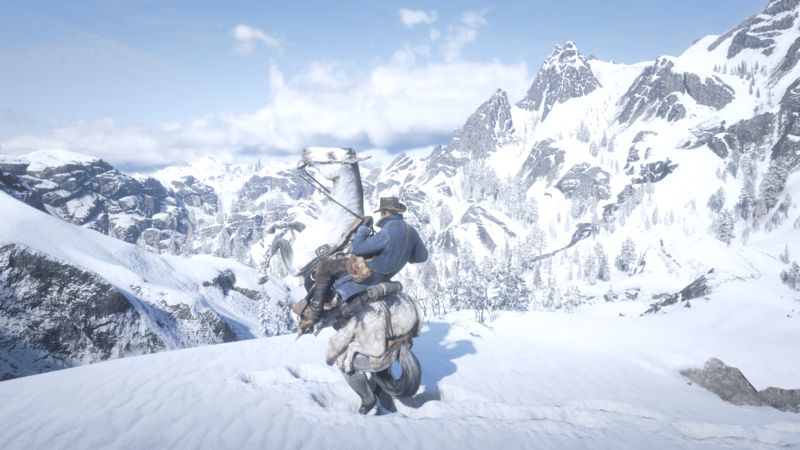 You savor it, as exhibited by Arthur’s movement as he skins each animal, loots each drawer and chats with each gang member or passerby. You hear their stories. And then, you make your own stories that exist alongside Rockstar’s. I loved this pacing. I loved exploring, finding oddities and secrets that felt like only I had ever seen them before even though I know that’s not true. I virtually *became* a character in America during the late 1800s. I lived in Rockstar’s hyper-realistic, beautiful yet dangerous world for hours and hours, and savored every moment as much as Arthur did. Before I wrap up, I would like to mention that Rockstar has been criticized for its demanding work practices. Many team members work long hours, especially right before release. This dedication absolutely shows in the final product. And there are those that expressed how much they love working for the studio. Either way, I am hopeful that every single person is compensated fairly for their efforts. Labor practices and company culture is way too big of an issue to discuss here, so I’ll end with saying that no one should have to suffer mentally or with their family just to produce a video game. Sales: Upwards of 2 million owners on PC alone per SteamSpy. Not available for console versions. 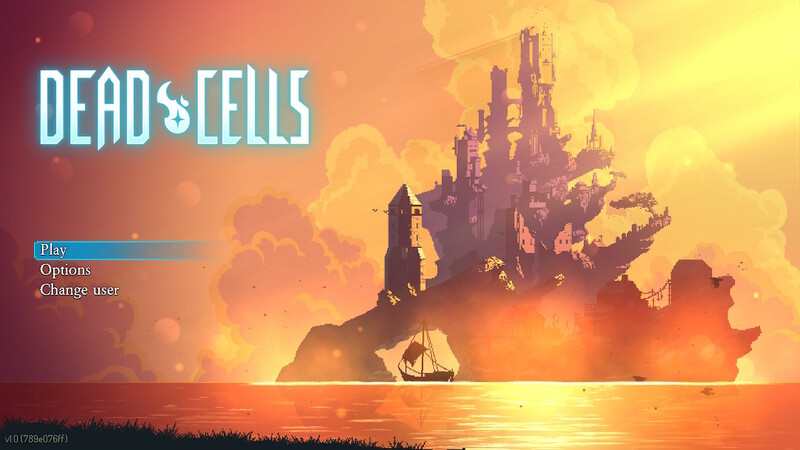 Dead Cells is the type of game that I shouldn’t have enjoyed, with its roguelike elements including permadeath and losing gear after every “run,” however it ended up being one of my favorite 2D action games of the year almost on feel alone. 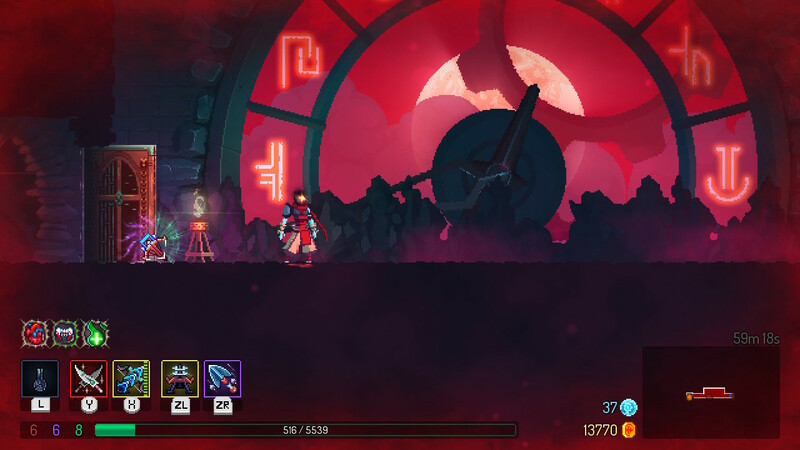 It’s at its best when you have a run during which you build a sweet load-out and slice through opponents like butter. Though I never actually beat the final boss because of the difficulty spike, which I mark as a knock against it even if you might disagree. Platforms: Xbox One, PlayStation 4, Windows. Sales: The only official numbers we heard were for the original Destiny 2 launch in 2017, which was above 6.3 million units. Well beyond that by now, especially after sales and promotions, however exact figures are not available. We all know I couldn’t end this post without at least mentioning Destiny. Bungie put out its major Forsaken expansion this September, marking the one year anniversary of Destiny 2’s initial release. And it’s excellent, featuring a campaign where lovable, witty robot Cayde-6 is murdered and the player must hunt down his killers. Plus, there’s a brand new raid, tons of new gear, secrets galore and a variety of quality-of-life updates. Bungie has kept up with maintaining Destiny 2 since launch, however this is the best it’s been. It’s as fun as ever to team up with friends and fight the galaxy’s most threatening enemies, while naturally looking pretty cool all the while. Sales: At least 50K on PC, per SteamSpy. Otherwise, not available. Have you ever dreamed of controlling a hole in the ground that swallows up entire towns? No? 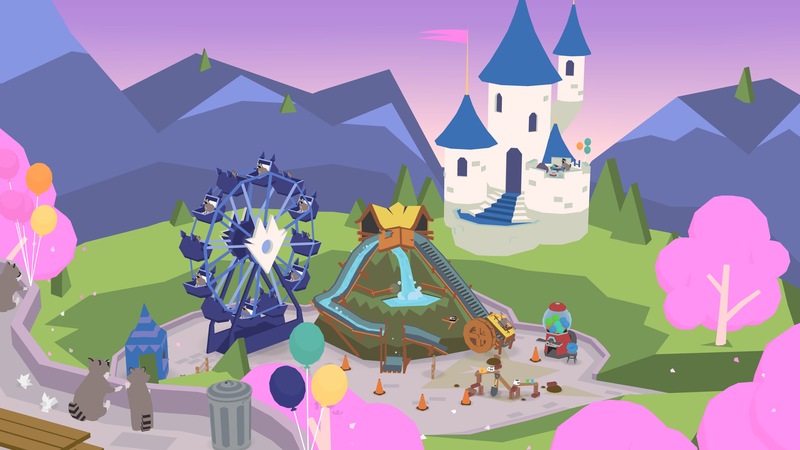 Creator Ben Esposito fulfills a desire that no one knew they had, crafting a fun-loving game with a simple mechanic. You move a hole around a map, growing with every item it swallows up until literally nothing remains. Its plot is actually solid, as friends Mina (a human) and BK (a racoon) work at a doughnut shop. 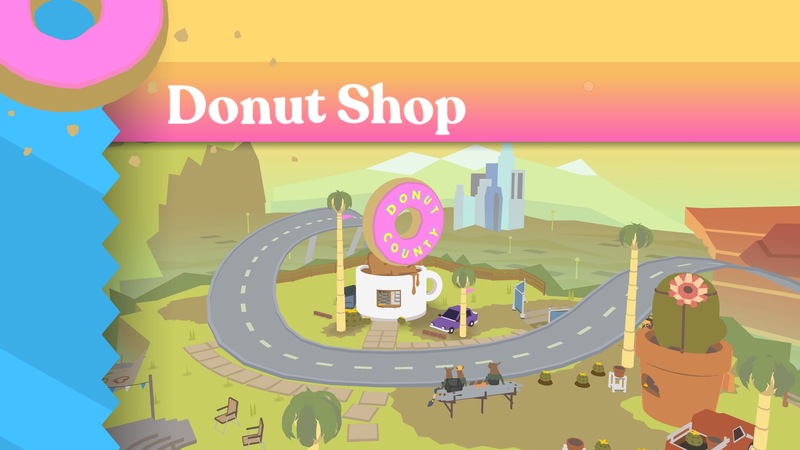 BK plays a mobile game where he “delivers doughnuts” to people by sending them holes in the ground. It’s simple and funny, with slight undertones of a commentary on gentrification. The humor shines especially in its glossary, where each item is documented as it’s gobbled up. It’s also an accessible, easy to control game. Sales: Approximately 1.25 million units, when aggregating available PC and Nintendo Switch figures. 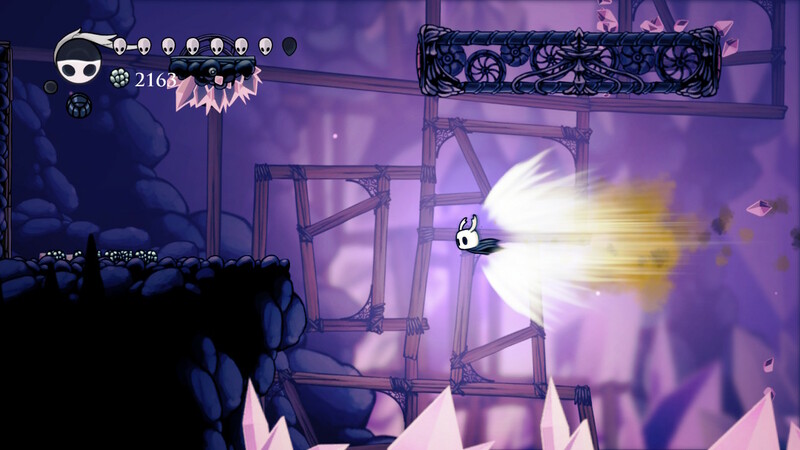 This entry is technically cheating, as Hollow Knight originally released in 2017. Its Switch launch happened this year, so that’s when I played it, and it’s sincerely excellent. 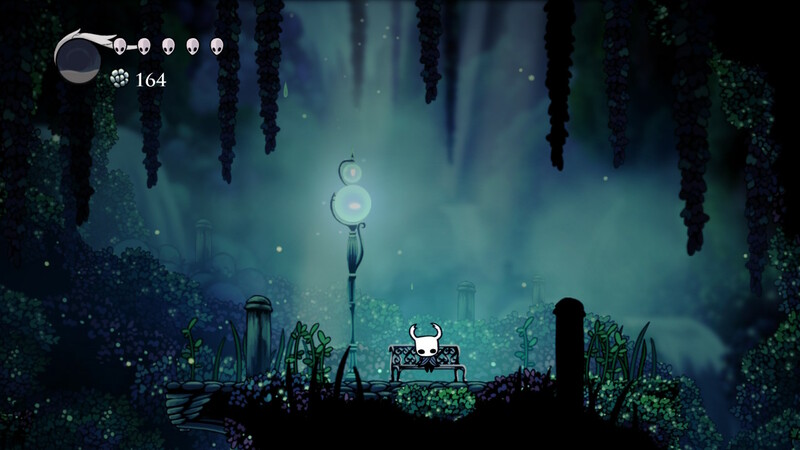 The dark, dreary 2D action platformer stands out not just because of its challenging combat but because of its unique lore and creative world-building. It’s all about a lost kingdom of bugs, and those creatures that inhabit it. The player learns about secrets and mini-stories via exploration. Each time you proceed to a new area, you feel equal parts wonder and dread. 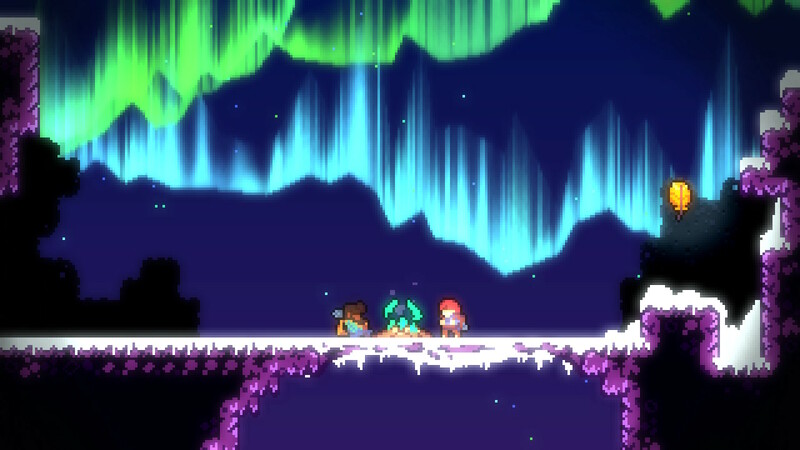 It also has some of the most memorable boss sequences I’ve played the past couple of years. Sales: In the two months since release, over 3 million units worldwide. The highest first week sales for a Switch title, until Super Smash Bros Ultimate hit 5 million at launch in December. 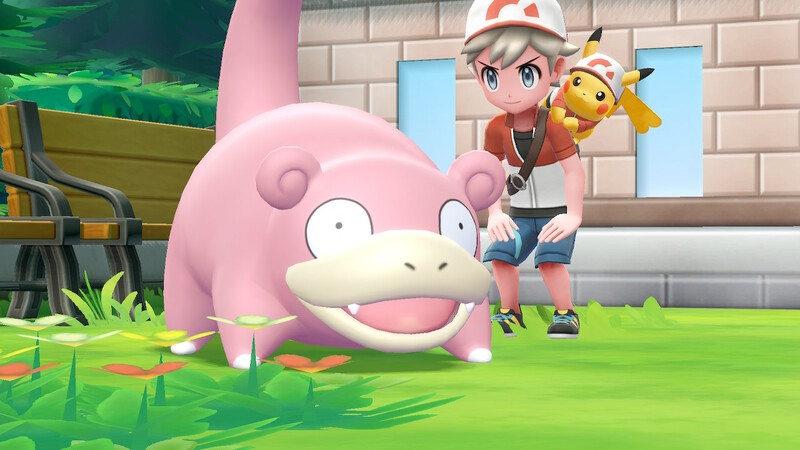 My final honorable mention is the latest set of adorable entries in the Pokemon franchise, which I’ll just call Let’s Go! because it’s a lot to type every time. These are re-made versions of 1998’s classic Pokemon Yellow featuring updating trappings inspired by 2016’s mobile phenomenon Pokemon Go. 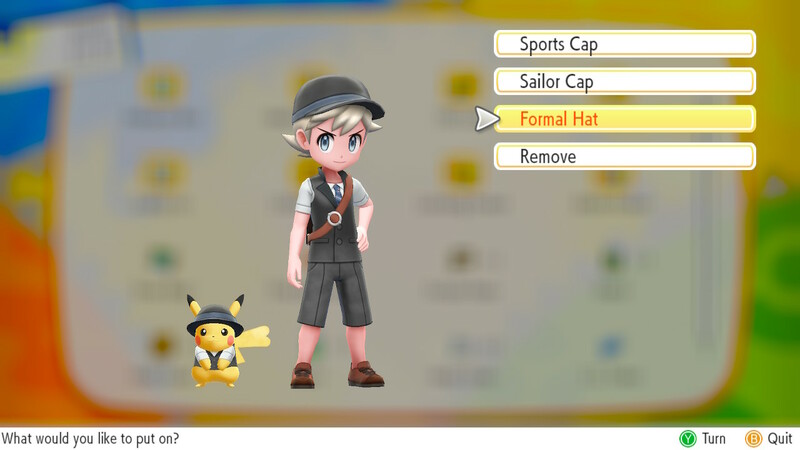 I grabbed the Pikachu version of Let’s Go!, of course, and loved building up my team of pocket monsters within the colorful world of Kanto, then using them to battle trainers and gym leaders. Favorite of my current squad? 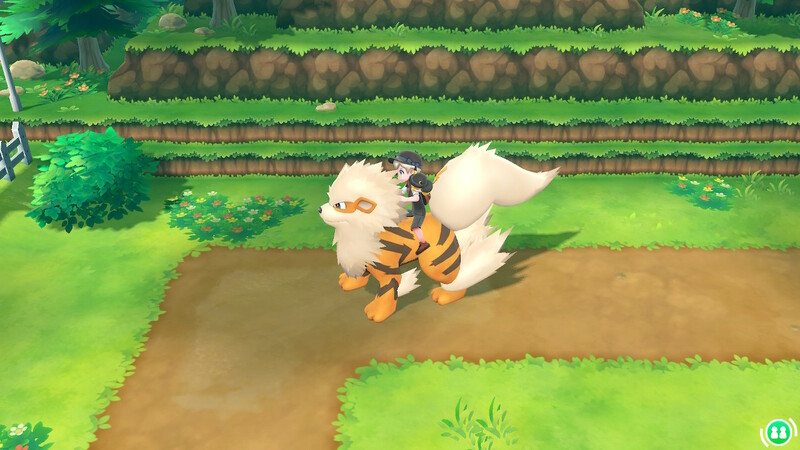 Arcanine. You can ride on its back, with Pikachu on your shoulder. That’s worth the price of entry alone! There you have it. All the 2018 games worth playing! Well, there are other good games out there, but these are my selections for the best of the best. Thank you as always for reading, here’s wishing you all the best in the new year. Sources: Photos are screenshots from my time with these games. Sales info as linked. Other information from company media and investor relations websites, Wikipedia, Venture Beat and NPD Group.